Going out to celebrate New Year’s Eve and can’t bring your camper along for the fun? 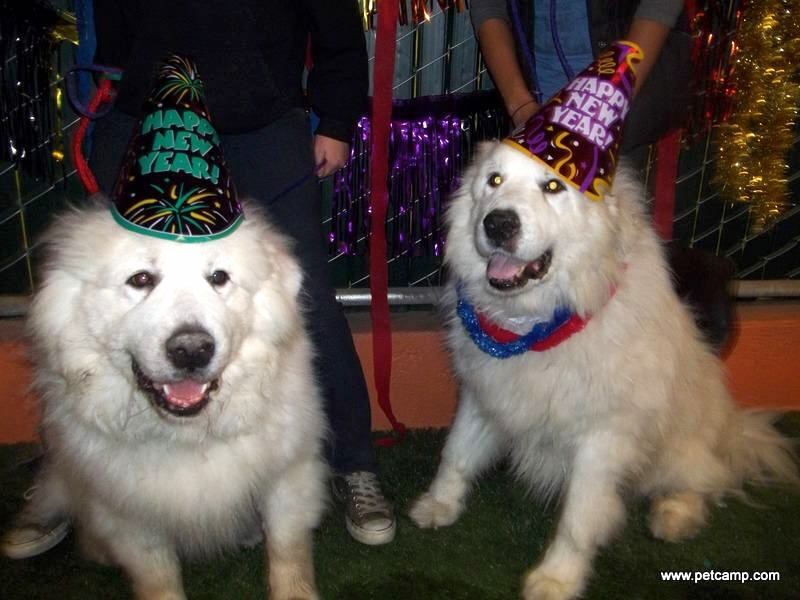 We’ve got you covered with Pet Camp’s New Year’s Eve Party! All of the festive essentials are included: hats, balloons, garland, 2017 glasses, noise makers (like the dogs need help with that), and a big wet kiss at the stroke of midnight! Don’t let your camper miss out on the fun.